Sculpt & Reform Physiotherapy and Clinical Pilates was established in June 2007 by experienced physio, Kerry McLoughlin. Kerry has a broad experience in physiotherapy, clinical pilates, womens health (incontinence) and hospital in-patient and out-patient rehabilitation. She developed a Physiotherapy Clinical Equipment Class studio in her own home to provide an exercise-based rehabilitation service to clients in Mulgrave and surrounding suburbs, where exercises utilising spring-loaded machines seemed to be lacking. Her studio includes two Reformer couches, a Trapeze table, a Wunda chair, a Ladder Barrel, fitballs, a magic circle, foam rollers, duradiscs, Bosu-balance domes, wobble-boards, dumbbells, and exercise bands and tubing. Sculpt & Reform Physiotherapy and Clinical Pilates requires each new client to be fully assessed for current and pre-existing injuries in an initial one-on-one consultation, prior to commencing any semi-private group sessions. This enables a comprehensive rehabilitation exercise program to be tailored to the individual, allowing for close analysis and observation of spinal mobility, restrictions and pain, and avoidance of exacerbating any particular condition. Following this initial consultation, clients then have the option of ongoing private sessions (1:1) or small group sessions (3:1). Aside from spatial restrictions, groups are kept to a maximum of three people to ensure that excellent supervision, guidance and safety are maintained for each client. Each client will be given an individually-tailored exercise program in accordance with their goals, injury or musculoskeletal status and cardiovascular fitness, and an information package will be provided. A home exercise program is encouraged to supplement the formal Clinical Equipment sessions and enhance their progress. This may involve a combination of mat-work, ball-work and stretches, depending on availability of equipment at home. Exercise bands, dumbbells, foam rollers, mats, fitballs and other equipment can be ordered for purchase from the studio at a discounted price. Clients will receive a rebate from private health insurance funds if they have extras cover for physiotherapy, and their eligibility criteria are met. Their health insurance card can be swiped on our HiCaps machine, giving an automatic rebate whereby they only have to pay the remainder of the fee. Alternatively, they can be provided with a tax invoice to present to the health fund. Kerry is the owner, physio and clinical Pilates instructor at Sculpt & Reform Physiotherapy and Clinical Pilates. 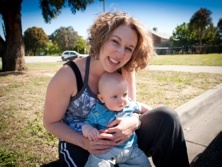 She graduated from her physiotherapy degree in 2003 at La Trobe University, Melbourne, in the top 15% of the university, and has gone on to further her education in the fields of clinical Pilates levels 1-4, hydrotherapy, shoulder injuries, pelvic instability, dry needling, canine physiotherapy, lower limb biomechanics, musculoskeletal physiotherapy techniques (Mulligan and McKenzie) and pelvic floor rehabilitation. She has completed a post-graduate certificate in pelvic floor rehabilitation (incontinence, pelvic organ prolapse and pelvic pain) which has proven to be a thoroughly rewarding field where she can assist post-natal women, menopausal women, men with prostate issues, and other women who suffer from pelvic pain or incontinence, to improve their quality of life and morale. These skills she brings to her Clinical Equipment classes to ensure clients are not bearing down on their pelvic floor whilst completing exercises, which may predispose to or exacerbate incontinence problems. Kerry also has a special interest in the pregnant and post-natal woman, with vast experience in providing safe and effective therapeutic exercises to these clients. Kerry has a keen interest in professional development and evidence-based practice, with a yearning for knowledge and expanding the quality of care she can offer to patients. In addition to physiotherapy, Kerry has also completed a Bachelor of Science at Melbourne University, majoring in immunology and microbiology, which enhances her understanding of the human body and disease. Since graduation, Kerry has worked in acute and rehabilitation hospitals and private practices in the areas of womens and mens health (incontinence), musculoskeletal, cardiothoracic and neurological physiotherapy and clinical Pilates. Her range of experience allows her to bring to her own business, expertise in treating various musculoskeletal and neurological conditions. Her career ambition is to always provide the highest level of care to her patients. Kerry is keen to further her knowledge in acupuncture to complement her dry needling experience, and hopes to add acupuncture treatment, in addition to continence physiotherapy and musculoskeletal physiotherapy, to her business services at Sculpt & Reform Physiotherapy and Clinical Pilates in the near future. Kerry is a registered provider for WorkCover, TAC, Veterans Affairs and private health fund patients. Outside of work, Kerry has other interests include horseriding, piano, fitness, oil painting and spending time with family and friends. She has an open mind to holistic and natural medicine with the possibility of future pursuit and integration into her physiotherapy and Clinical Equipment classes.